 The Kent County Agricultural Society, organisers of the annual Kent County Show have confirmed the entertainment and entrance prices for visitors to the 2013 Show which will be held on 12, 13, 14 July 2013. The 2013 Show will see the spacious Clive Emson Exhibition Hall transformed into an interactive creative craft area. The Creative Crafts Show will provide the perfect opportunity to stock up on craft products and to join workshops. Visitors can learn new techniques from the experts and all the latest in cross stitch, sewing, card making, embroidery, knitting, patchwork, quilting, scrapbooking, ribbon craft, papercrafts, stamping, beading, painting, dressmaking, tapestry, decoupage, crochet and many more popular stitch and creative crafts. The area will be a wonderful opportunity to discover the delights of making your own, whether you are an experienced crafter, beginner or simply looking for a new hobby. The Creative Crafts Show will be a wonderful addition for the Kent County Show. The new Country & Game Area at the Kent County Show will be hosted by the CLA who run the highly successful CLA Game Fair, the world’s biggest country sports and pursuits event with over 900 exhibits. As the leading rural membership organisation representing land, property and business owners in England and Wales, the CLA offers its members a wide range of services and is delighted to be involved with the Kent County Show. The area will feature The Sheep Show, one of the most fun and educational displays at the Kent County Show. Back by popular demand, it is a firm favourite for the whole family. Performed at over 70 shows a year to thousands of people, it never ceases to amaze. Visitors learn about each breed’s attributes and how wool from sheep becomes a jumper to wear. The shearing demonstration is well commentated and has the audience captivated. The ‘Sheep Show Shuffle’ with all the sheep dancing enchant the audience who marvel at how on earth you train a sheep to dance? The Hawking Centre will have Birds of Prey free flying demonstrations taking place twice a day. The demonstrations range from owls to hawks, falcons, eagles, buzzards and vultures with an emphasis on how these birds work in the wild with lots of audience participation. With an entertaining commentary throughout, the falconers work with the birds of prey to give the public a chance to see close-up the birds and their behaviour, which most often we now see only on wildlife television programmes. There is never a dull moment, as members of the audience are often called upon as volunteers to assist in the Falconry display, or even have a go themselves. Sheep Dog and Duck display is an interactive wonderful piece of entertainment. The intelligence of the sheep dog is matched only by the cuteness of the ducks. This is well worth a look particularly if you have small children. The new look area will also feature Harrietsham Ferrets, Ashford Valley Terriers, the Pony Club and Warrenby Gun Dogs. Andrew Farley’s gundog demonstrations always attract the crowds around the show ring. He demonstrates the different stages of gundog training from basic puppy, right through to ‘open’ level. ‘Live’ pigeons are used for the ‘Quartering’ demonstration, which always amazes the crowd. The performances are un-rehearsed and so change every time. The gundog demonstration team comprises both handlers and dogs in training and virtually every type of gundog can be seen including labradors, spaniels and a range of hunt point and retrievers. Joseph’s Amazing Racing Camels will take place in the Main Ring with four jockeys wearing colourful costumes taking part in the race. The commentary team will give visitors an insight in to these incredible animals and the audience will be amazed at the speed. The camels will be on static display during the day. The camel racing will bring a touch of the Middle East to the heart of Kent when these lovable and fascinating creatures delight the crowds. The Kent County Show is delighted to announce the appearance of the 17th Tonbridge Scout & Guide Band. This Kent based band is the best youth bugle and fife band in the United Kingdom. The Kent County Show would not be complete without the hugely popular Kent Spitfire display on all three days of the Show appearing at 12.30 each day. The fifteen-minute display comes with commentary and music. Also on Saturday the Hurricane will be making an appearance alongside the Kent Spitfire, kindly sponsored by Biggin Hill Heritage Hangar.